Parked side-by-side for the first time, we began to get a feeling for what we were in for. BMW has been building the 3 Series sport sedan for nearly 40 years, and for nearly 40 years it has been the best. Challengers came with high hopes and left slightly bitter. If history repeats itself, then BMW has nothing to prove. 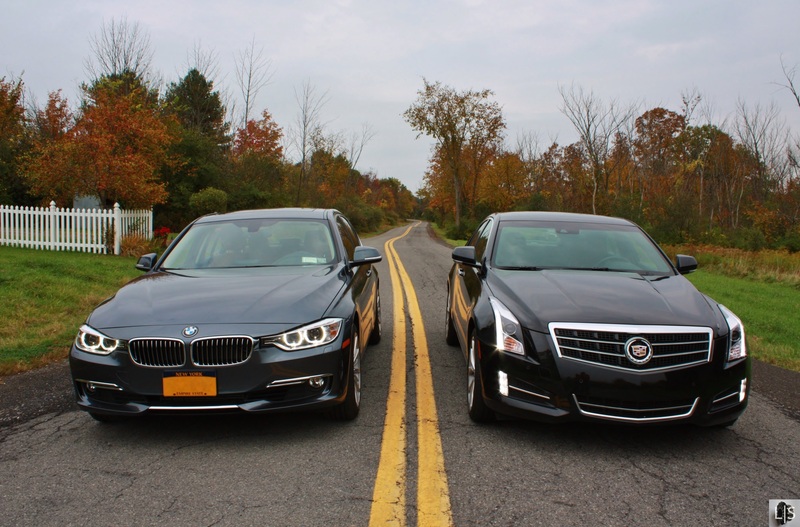 But Cadillac, the new kid on the block in this segment, wants so badly to spoil BMW’s lunch. The ATS arrived on scene calling BMW out in every commercial, a direct challenge to its apparent dominance. They would like nothing more than the ATS to claim victory over the 3 Series. Our task: referee a fair fight. The winner will be the better sport sedan. 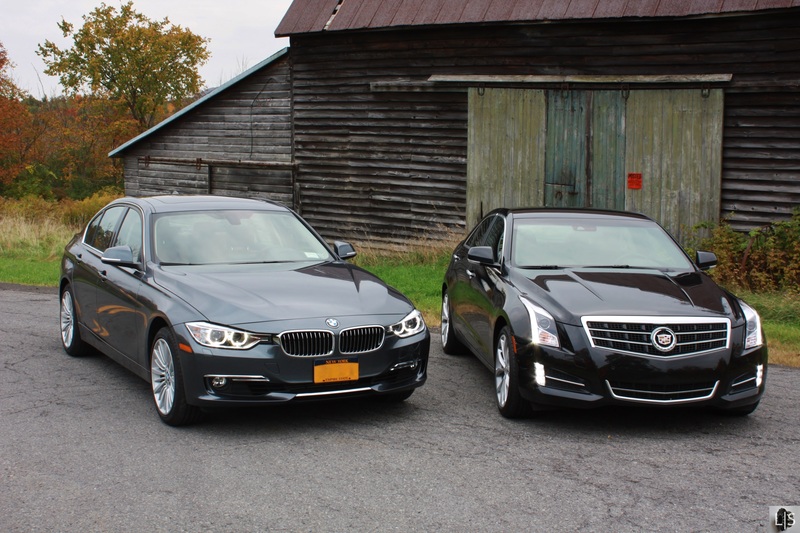 Both the ATS and 328i are attractive cars. From the front, they are both sharply defined. The BMW wears its heritage, kidney grilles and double lights, as a badge of honor. In Luxury Line trim, it gets chrome slats in those grilles, as well as chrome accenting around the fog-lights and on the lower fascia. The Cadillac’s front end is much bolder, accented by LED running lights that extend from high on the hood down to where you would expect fog lights. That bold design continues around back. The ATS’s wide set tail lights and large third brake light are reminiscent of the outgoing CTS-V coupe, without the extra angles and points. The BMW is far more restrained. From the side, however, the ATS looses its flair. The flat, slightly rounded sides are, in profile, much less interesting. The BMW has more visual character and a more cohesive design. Though it is hard not to feel Presidential when riding around in a black Cadillac. But appearance is mostly a matter of opinion. It wouldn’t be right to call the fight on looks alone. 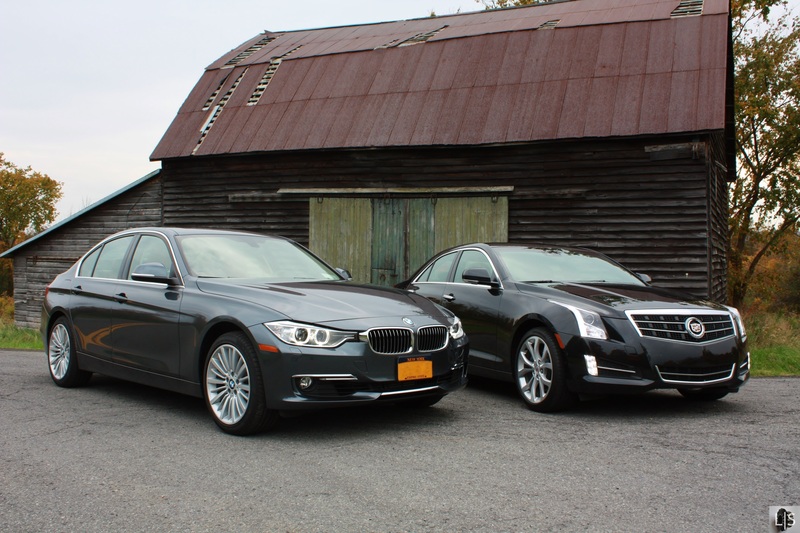 Inside, the Cadillac’s higher belt-line and lack of sunroof make it much darker than the BMW. 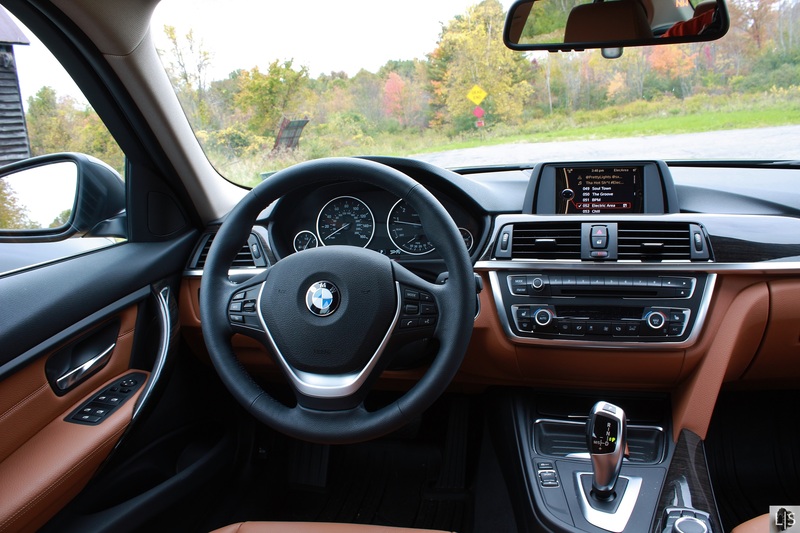 Interfacing with the 3 Series’s climate and entertainment systems is also much easier, thanks to its rows of well laid-out buttons and knobs. It makes the touch system in the ATS feel cheap and gimmicky. But the Cadillac’s superior seats and steering wheel make up for that. 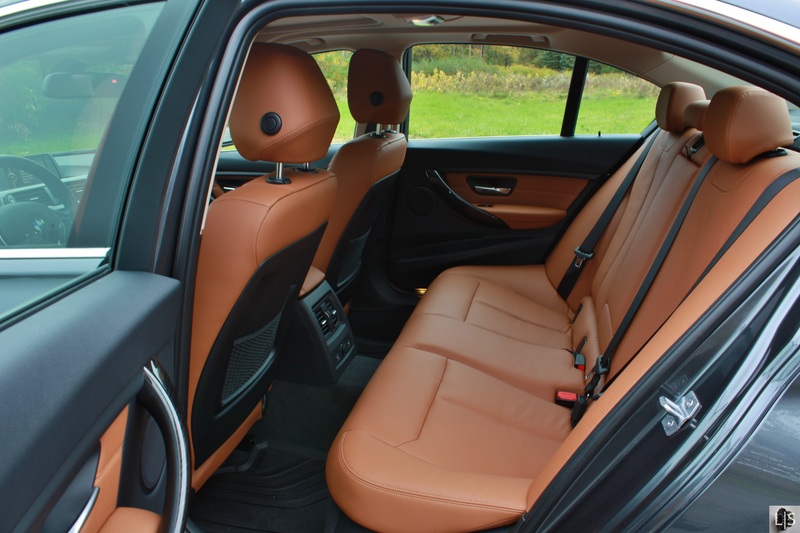 The 3 Series Luxury Line doesn’t have the same seats as the Sport Line, so they lack some bolstering. 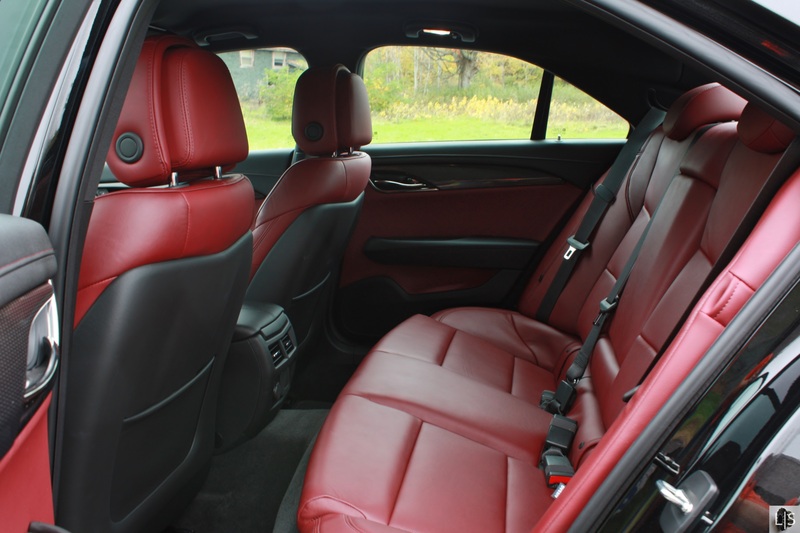 The ATS shares its excellent seats across the Luxury, Performance, and Premium Collections. The thick wheel is a joy to hold, though the intensity of the white light used to backlight its controls is distracting at night. Forward visibility is good out of both cars. 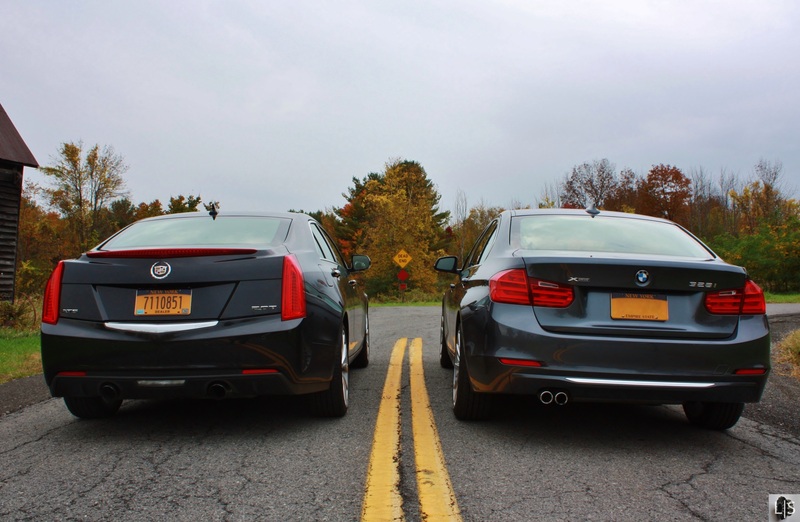 BMW’s trademark Hofmeister kink and larger rear glass provide a better view rearward than the ATS’s high rear deck and large c-pillars. Both cars are laid out with the driver in mind, and its difficult to prove a real winner from inside either of these sport sedans. Besides, that’s not why we’re here. This is where it will be won or lost. Though as we discovered, it wasn’t a clear cut decision. Each of these cars do different things well. The BMW starts out from behind. 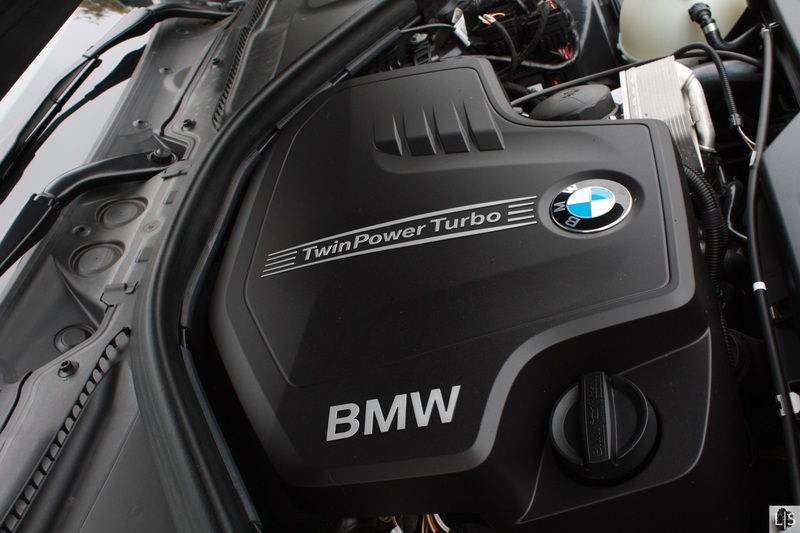 Both utilize a 2.0L turbocharged four-cylinder engine, but the BMW only makes 240 hp and 255 lbs ft torque compared to the ATS’s 272 hp and 260 lb ft. Our 3 Series tester came equipped with xDrive, allowing it to power all four wheels at the cost of 222 lbs to the rear-drive ATS. The BMW’s only victory on the stats sheet is its 8-speed automatic transmission. The ATS makes due with only 6, but it was surprising how much impact that difference made. 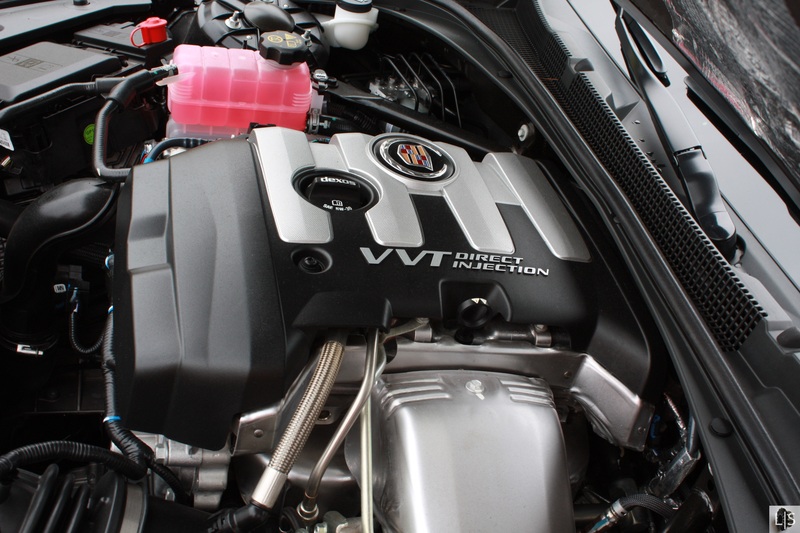 The ATS’s engine should feel more powerful, but it doesn’t. With more cogs, the BMW can have shorter gear ratios. Shorter gears mean more opportunity for the engine to stay at peak output. 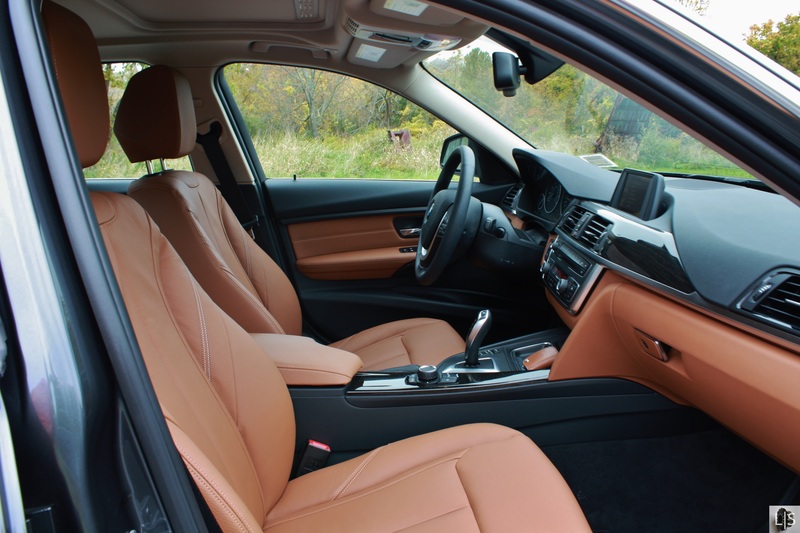 The result is that the BMW feels more responsive in real-world driving. The ATS is bogged down by its longer gears. It has no trouble keeping up in a straight line, but the engine just feels dead compared to the BMW’s. The ATS’s saving grace is how it handles. 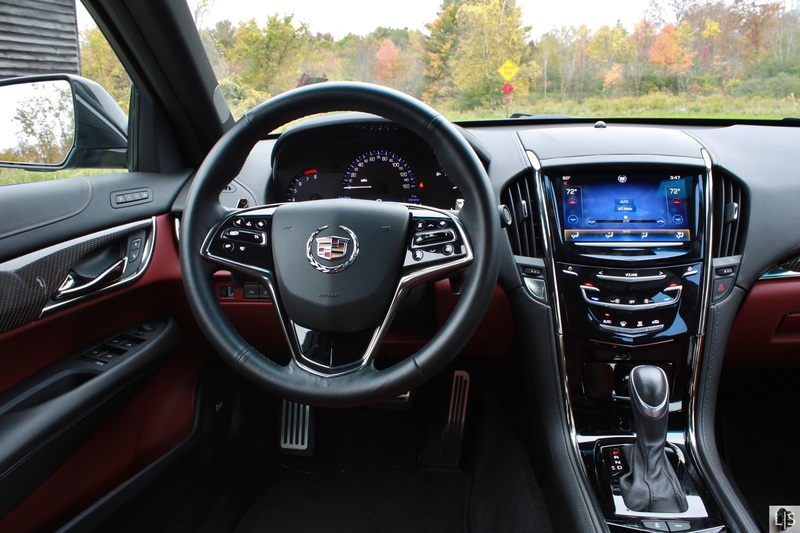 Both cars use electrically-assisted steering, but the ATS is more precise and offers more feedback than the BMW. The Brembo front brakes on the Cadillac are nothing short of perfect. You’d need the front brakes from the sportier BMW 335i to get this kind of stopping power, and even then you won’t get the same pedal feel. The ATS Performance Collection also has sport suspension keeping the car planted to the road, a feature that xDrive BMWs aren’t afforded. It’s easier to drive the ATS quickly because the car inspires confidence. If you need to stop, you know that you can. If you need to change direction, there’s a better understanding of how the car is reacting. These advantages can’t be underestimated. 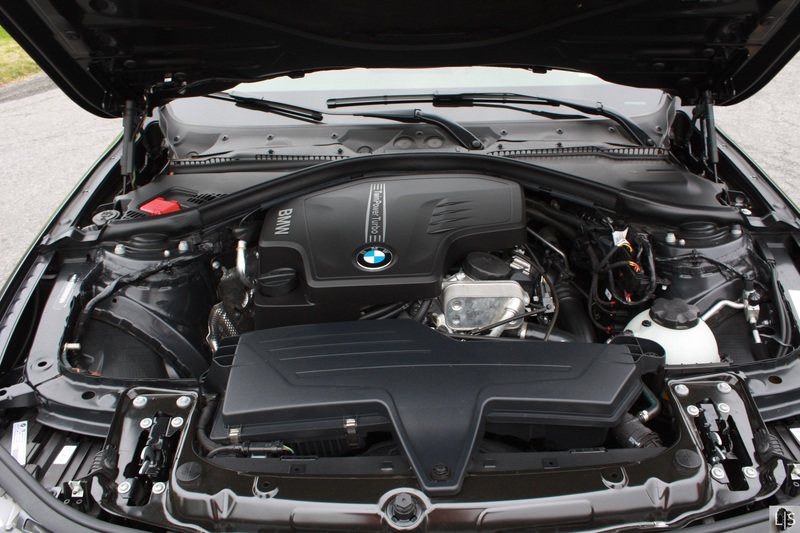 Any margin that the BMW gains from better use of its engine is lost in the next corner. Let’s get something out of the way now. 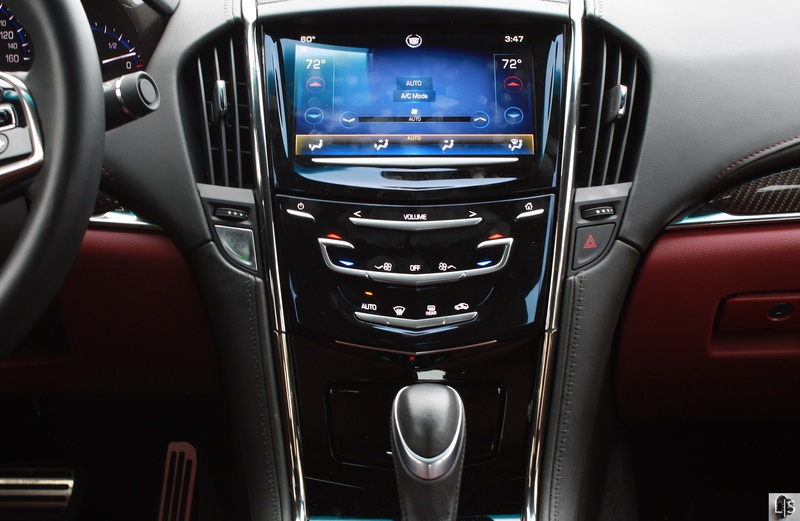 If you own a Cadillac ATS, you can’t be too disappointed. Without 40 years of experience, Cadillac has built the most competitive 3 Series fighter to date. Conversely, if you own a BMW 3 Series, chances are that nothing can be said to make you feel like you’ve bought a bad car. 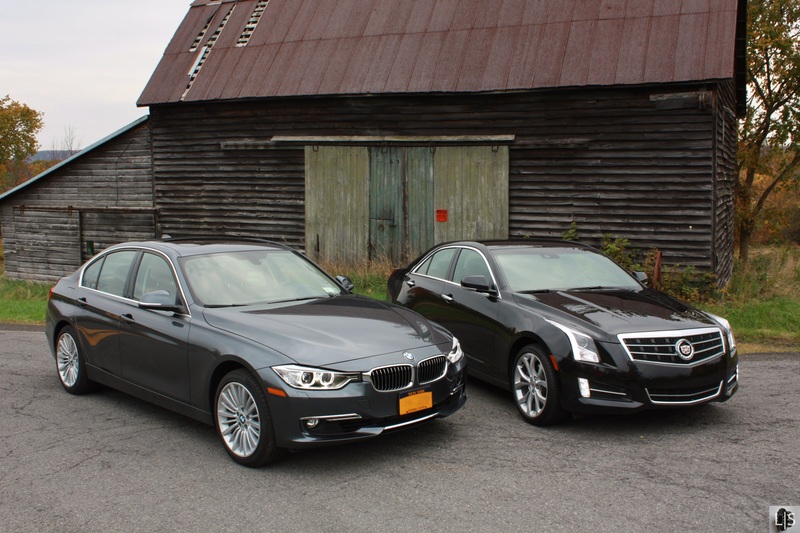 When we compared the 328i to the Audi A4, we reached a point where we could say the Audi trumped BMW for luxury but the BMW was a a better drive. The Cadillac ATS doesn’t challenge the BMW 3 Series on luxury or comfort, it challenges it on performance. With that, a real verdict. 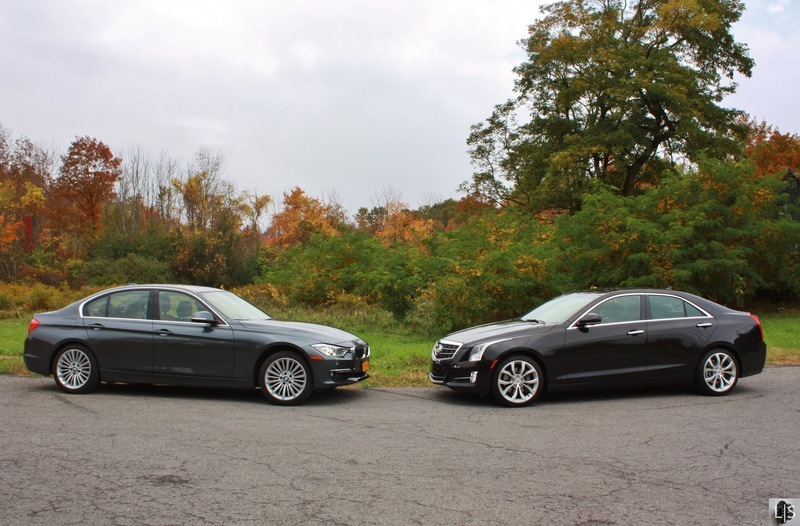 The Cadillac ATS is the better sport sedan. When it comes down to driving, the Cadillac inspires more confidence. After driving both cars back-to-back over the same section of road, I wanted to get back into the Cadillac. It feels like you can drive the ATS harder and faster than the 3 Series, even if you actually can’t. The BMW put up one tough fight. 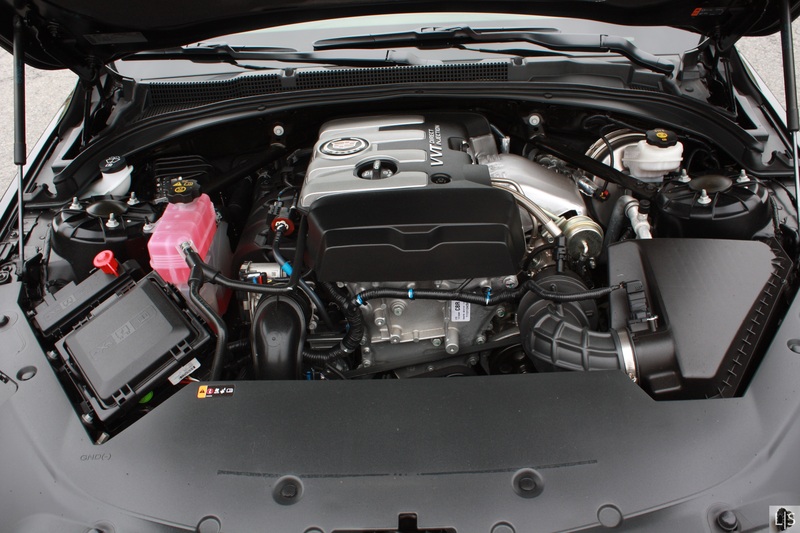 Its free-revving engine feels livelier and more eager whereas the ATS’s powerplant felt flat because of its longer gears. Unfortunately, the steering and brakes let the 3 Series down. 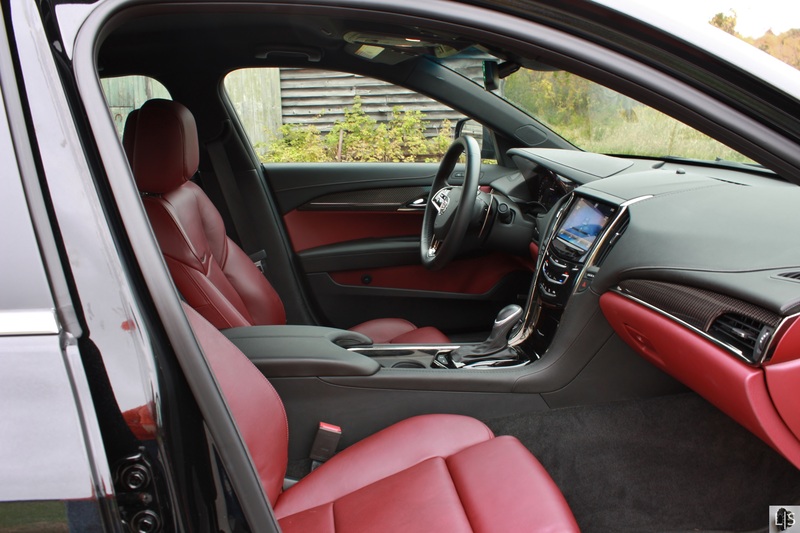 The Cadillac ATS is simply the more rewarding car to drive despite its gearbox, and that’s why it won. Fair and square. I appreciate the fair review from an admitted BMW 3 series lover that you are. I have to say though, as much as I like the ATS I could not own it because of the tractor-like sounds emitted under hard acceleration.